The mystery about α is actually a double mystery. The first mystery – the origin of its numerical value α ≈ 1/137 has been recognized and discussed for decades. The second mystery – the range of its domain – is generally unrecognized. — Malcolm H. Mac Gregor, M.H. MacGregor (2007). The Power of Alpha. World Scientific. p. 69. Kabbalah is the esoteric level of the Torah. The word “kabbalah” (קבלה) literally means “receiving” or “received [wisdom].” The gematriah (numerical value) of the word “kabbalah” is 137: Kuf (100) + Bet (2) + Lamed (30) + Heh (5) = 137. This number appears explicitly for the first time in the Bible in the Torah portion of Chayei Sarah: Ishmael lived 137 years. Incidentally, Levi (Ex. 6:16) and the father of Moses, Amram, also lived 137 years (Ex. 6:20). Significantly, Akeidat Yitzchak (Binding of Isaac) took place when Abraham was 137 years of age. The root of the word “KaBaLah” – K-B-L appears for the first time in Exodus: 26:5 and 36:12. The word “opposite” – “maKBiLot” has a root K-B-L. These verses speak of a curtain separating Kodesh Hakadoshim – the Holy of Holies – from the Kodesh, the area called “Holy” immediately adjacent to it. It is viewed symbolically as the curtain separating spiritual and material worlds. The number 137 is, therefore, seen as appearing on the boundary of the physical and the spiritual. The number 137 has incredible importance to physics. When I was a teenager, I was quite obsessed with the Sixth Problem of Hilbert – the problem of axiomatization of theoretical physics. I didn’t get very far, but one thing I realized was that the connection between physics and mathematics lies in dimensionless numbers. You see, in mathematics, we deal with numbers. In physics, on the other hand, we deal with quantities that almost always have dimensions – physical units associated with them. For example, the speed of light in a vacuum – a universal physical constant – has dimensions of [length/time]. The numerical value of this constant will depend on the units we use for measuring length and time. In the metric system, this value is 299,792,458 meters per second. But the speed of light can also be expressed as 186,000 miles per second. As we see, the value depends on the choice of units. This makes it very difficult to relate physics to mathematics where we don’t have any kind of units. I thought, therefore, that only dimensionless constants have real significance. Such dimensionless constants are few and far between. One of them is the fine-structure constant. The value of this constant is, approximately, 1/137 and it is the same in any system of units. This number represents, inter alia, the probability that an electron will absorb or emit a photon. If an electron (electron is a fermion – a particle of matter) and a photon (photon is a boson – a particle of force) are seen as metaphors for the physical and the spiritual respectively, the number 137 becomes symbolic of the interphase between physical and spiritual, between lights (orot) and vessels (kelim). 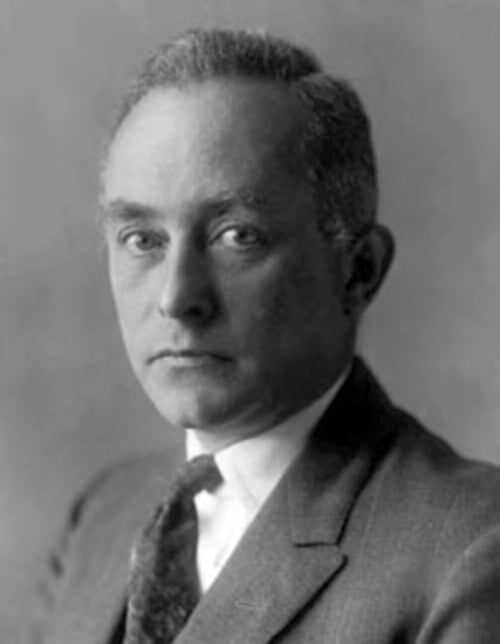 According to Sommerfeld, the meaning of the fine-structure constant is the ratio of the speed of the electron on the first orbit in the Bohr model of the atom to the speed of light in a vacuum. Another meaning of the fine-structure constant α is the ratio of the electrostatic repulsive force to the gravitational attractive force of two hypothetical particles having an elementary charge e and Planck mass mP. 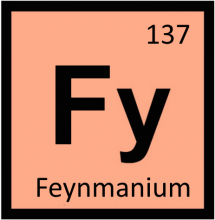 The fine structure model predicts the highest atomic number for the Periodic Table within the Bohr model of the atom – 137 (feynmanium). Beyond this atomic number, chemical elements will behave differently than predicted by the Bohr model. I first heard about the connection between the fine-structure constant and the Kabbalah from Rav Yitzchak Ginsburg many years ago. I argued with him that the number 137 is an integer and cannot be compared with the fine-structure constant, α-1 = 137.035999, which is a non-integer number. He told me “not to worry about decimals,” as it is approximately 137. I still don’t quite understand what to make of it, but apparently many great physicists agree and take a similar approach. If alpha [the fine-structure constant] were bigger than it really is, we should not be able to distinguish matter from ether [the vacuum, nothingness], and our task to disentangle the natural laws would be hopelessly difficult. The fact however that alpha has just its value 1/137 is certainly no chance but itself a law of nature. It is clear that the explanation of this number must be the central problem of natural philosophy. In 1929, Sir Arthur Eddington predicted the reciprocal value of the fine-structure constant to be exactly 137, which turned out incorrect. Another physicist and Nobel laureates, Wolfgang Pauli, was fascinated with the fine-structure constant. Wolfgang Pauli was so intrigued with this constant that he corresponded with Carl Jung discussing its significance. According to the science book Deciphering the Cosmic Number, by Arthur Miller: “Pauli once said that if the Lord allowed him to ask anything he wanted, his first question would be “Why 1/137?” Pauli was, probably, the first to recognize the connection between the fine-structure constant and Kabbalah. He began to study Kabbalah and got obsessed with this number. When he fell ill and was taken to a hospital, he realized that he was in room 137. He took it as an ominous sign and prophetically said, he’d never leave this room. Indeed, December 15, 1958, Wolfgang Pauli died in room 137, in Rotkreuz hospital in Zürich, Switzerland. It has been a mystery ever since it was discovered more than fifty years ago, and all good theoretical physicists put this number up on their wall and worry about it. Immediately you would like to know where this number for a coupling comes from: is it related to pi or perhaps to the base of natural logarithms? Nobody knows. It’s one of the greatest damn mysteries of physics: a magic number that comes to us with no understanding by man. You might say the “hand of God” wrote that number, and “we don’t know how He pushed his pencil.” We know what kind of a dance to do experimentally to measure this number very accurately, but we don’t know what kind of dance to do on the computer to make this number come out, without putting it in secretly! – Richard Feynman, Richard P. Feynman (1985). QED: The Strange Theory of Light and Matter. Princeton University Press. p. 129. Jewish-American physicist and Nobel Laureate Leon M. Lederman intentionally numbered his home 137. Prof. Lederman explained the significance of the number in his book “The God Particle: If the Universe Is the Answer, What Is the Question?”, noting that not only was it the inverse of the fine-structure constant, but it was also related to the probability that an electron will emit or absorb a photon. 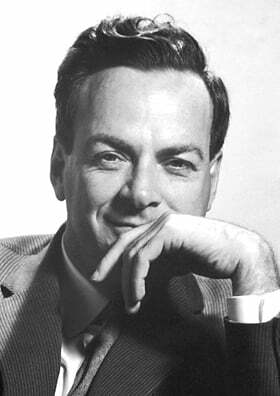 He further noted that it also “contains the crux of electromagnetism (the electron), relativity (the velocity of light), and quantum theory (Planck’s constant). It would be less unsettling if the relationship between all these important concepts turned out to be one or three or maybe a multiple of pi. But 137?” Lederman wrote that the number 137, “shows up naked all over the place,” i.e., scientists on any planet in the universe using whatever units they have for charge or speed, or Planck’s constant, will all come up with 137, because it is a pure number. Just as the fine-structure constant relates to the absorption of a photon (light) by an electron (matter), the ultimate symbolism of the number 137 in the Kabbalah is the receiving (kabbalah) of the Infinite Light – Ohr Ein Sof (1) – into ten vessels-sephirot comprised of the three (3) sephirot of sechel (intellect, ChaBaD: Chochmah, Binah, and Da’at) and seven (7) lower sephirot-midot = 137 (1 + 23 + 27 = 137). The small gematria (mispar katan) of Sara is 10: Shin (3) + Resh (2) + Heh (5). Sarah lived 127 years. 10+127=137. The Zohar (I, 122b) teaches that Sarah represented the body whereas Abraham represented the soul. It is appropriate, therefore, that the inverse fine-structure constant (albeit an integer approximation thereof) that characterized the probability of absorption and emission of a photon by an electron, i.e. interaction between the matter and the light, first appears in the Torah portion dealing with the interaction of the body and the soul – Sarah and Abraham. From what I am understanding, the existence of dimensionless, universal constants is what allows there to be (intelligible) structure in the universe. If there were none, or if they were a little off, we would experience only entropy and chaos. Tell me if I’m way off here, or did I actually get something right.